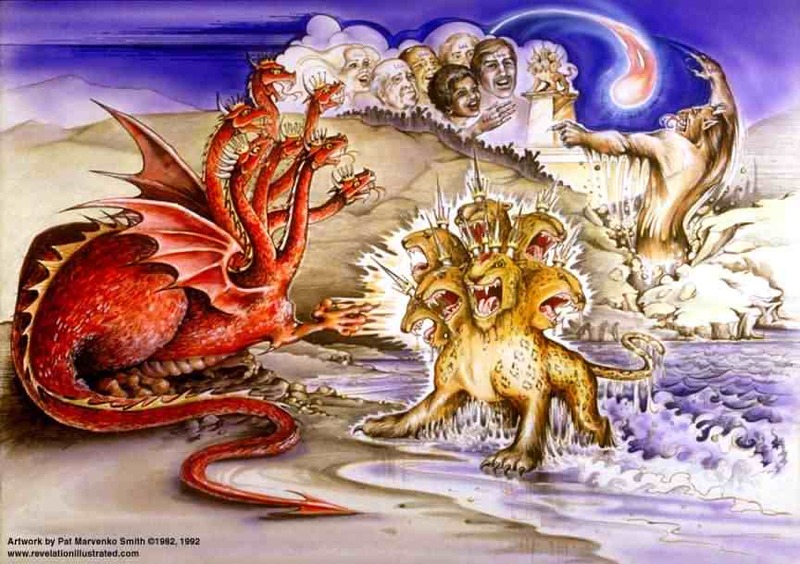 I find it very interesting that chapter 4 of the book of Daniel is actually written by a pagan king. Yes, the entire chapter comes from King Nebuchadnezzar. You see, the prophet Daniel has seen fit to include a chapter from the king that tells, in his own pen, his testimony of how his eyes were opened to the power of God. Once again, God gave the king a dream and Daniel was called on to provide an interpretation. 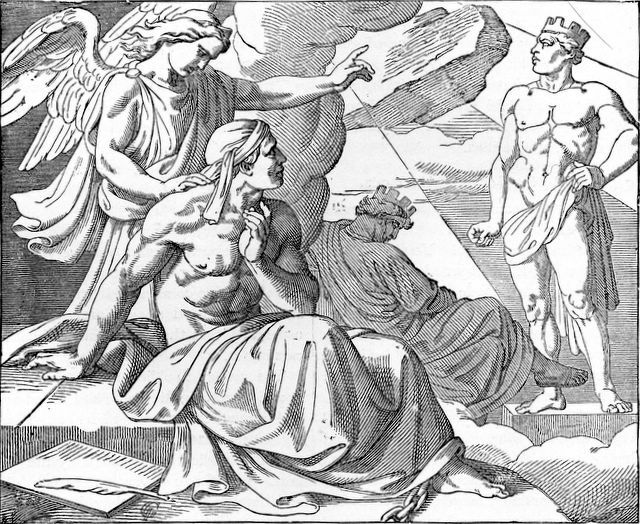 The dream tells of how the great king will be humbled – exiled from his own land – for “seven periods of time”. Then, the king will be given the opportunity to return to power if he can learn that God is the one who gives and takes away power and authority. When I read this, I can’t help thinking about how it seems our own nation has turned so hard against God. I wonder what it will take to wake up our nation’s leaders and remind them of the sovereignty of God – and that He is the one who establishes authority. Lord, I pray for our nation. I pray that You will somehow will send us a Daniel for our wake up call. Draw our leaders to You, God. May we once again be known as a nation who honors You. 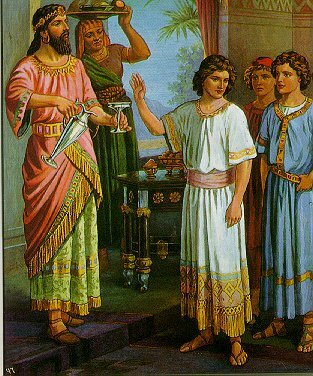 In the first chapter of the book of Daniel, God made a way for 4 noblemen (children or young men, if you read some translations) of the recently captured nation of Judah to be brought into King Nebuchadnezzar’s palace and serve there among royalty. In the second chapter, we see God moving these boys into places of high prominence in their captor’s government. God chose to do a miracle in Daniel. God had placed Daniel in this place, in this situation, so that He (God) could be glorified. So, the king, annoyed with their excuses, sent out orders to kill these men he had assembled – AND all the other “wise men” in Babylon. Unfortunately, this also included Daniel. 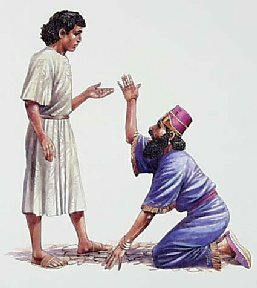 46 Then King Nebuchadnezzar bowed to the ground before Daniel and worshiped him, and he commanded his people to offer sacrifices and burn sweet incense before him. 47 The king said to Daniel, “Truly, your God is the God of gods, the Lord over kings, a revealer of mysteries, for you have been able to reveal this secret.” 48 Then the king appointed Daniel to a high position and gave him many valuable gifts. He made Daniel ruler over the whole province of Babylon, as well as chief over all his wise men. 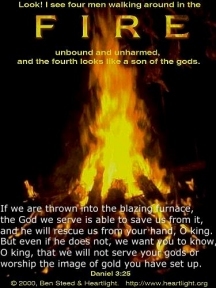 49 At Daniel’s request, the king appointed Shadrach, Meshach, and Abednego to be in charge of all the affairs of the province of Babylon, while Daniel remained in the king’s court. God answered the request of Daniel and his friends in order that He, the one true God, could be revealed in power and majesty. God placed these boys in this place so that God can receive glory – even from the then ruler over all the inhabited world, King Nebuchadnezzar. In the process, these boys were given gifts and blessings beyond their wildest dreams. What situation has God put you in, in order that you might bring glory to Him? How can you be praying for a miracle? And, not a miracle to make you look good, but to bring glory to God Himself! You never know how He might bless you for such faithful service.